A Cook County judge on Friday appointed Patricia Brown Holmes, a former judge who also has served as a federal prosecutor, as special prosecutor to look into whether additional Chicago police officers were involved in covering up the circumstances that led to the fatal shooting of 17-year-old Laquan McDonald, the Chicago Sun-Times is reporting. Chief Criminal Court Judge Leroy Martin Jr. announced the appointment of Holmes, who previously was the trustee of Burr Oak Cemetery after a scandal forced the historic black cemetery near Alsip into bankruptcy. 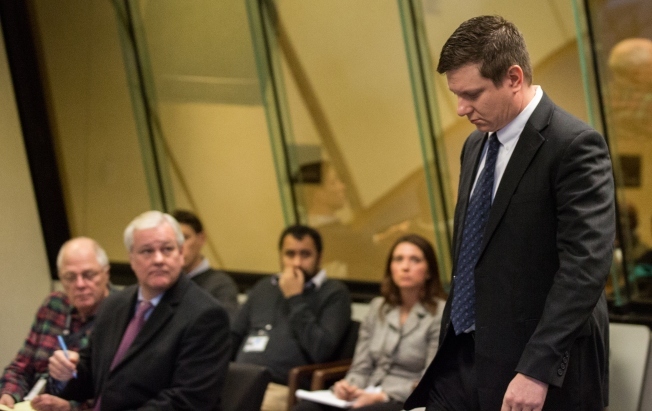 No one other than Officer Jason Van Dyke — who is charged with first-degree murder — has been charged in connection with the 2014 shooting death on a Southwest Side street. A special prosecutor to handle Van Dyke’s murder case was needed after State’s Attorney Anita Alavrez recused herself. Van Dyke’s partner, Joseph Walsh, and Detective David March, whose account of McDonald’s shooting conflicted with the graphic dashcam video, were placed on “administrative status” in mid-December. Several other officers who were the scene also backed Van Dyke’s version of events — that he fired at McDonald because he was in his fear for life as the teenager waved a knife and came toward the officers. McDonald was moving away from police in the 4100 block of South Pulaski Road and was 10 feet from Van Dyke when he was shot 16 times.